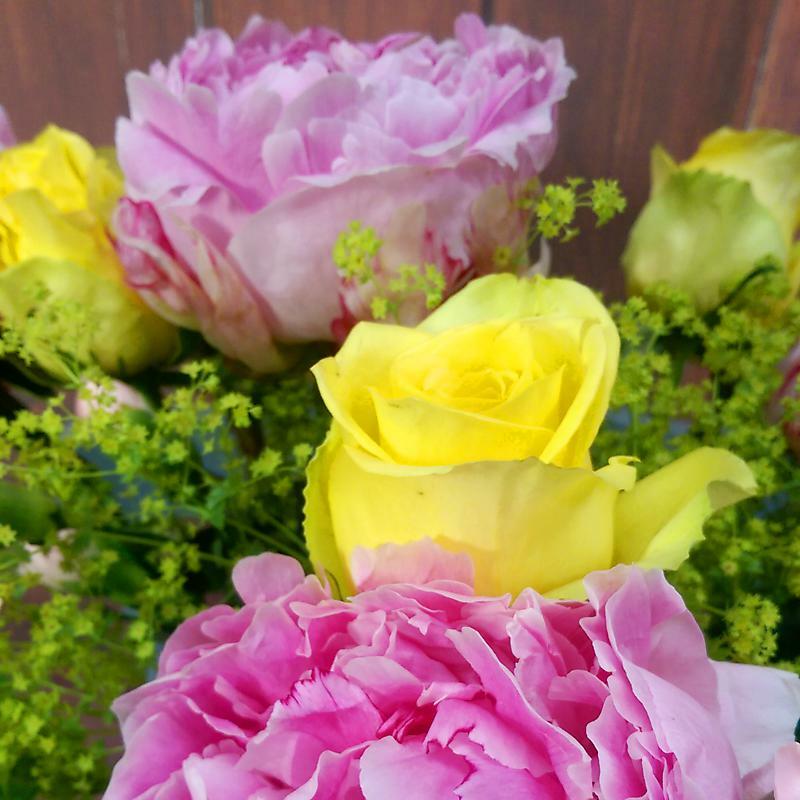 Continuing with our extensive and informative look at all the different types of flowers available in our bouquets, our subject this week on the Florapedia is the Peony, a classic summer flower which you can see pictured above as part of our popular Summer Splash Bouquet. The origins of peony cultivation date way back to ancient China. Said to be one of the oldest cultivated flowers in the world, the peony also has firm roots in Greek mythology; Paeon was a young student of medicine who was reportedly transformed into a flower. In modern Europe peonies have been with us since the late 18th century - 1784 to be precise. The root of the peony was used in ancient China for medicinal purposes including reduing fever. Peonies are of course also popular in flower bouquets, whether used as a floral arrangement to brighten up your home or as a gift bouquet to surprise a loved one with on a special occasion. Peonies are said to signify romance, joy and good health. Other meanings associated with this bountiful bloom include wealth. In Asiatic cultures peonies are used to represent honour and royalty. It's interesting to note that in Western culture, particularly in the Victorian era, peonies have connotations of bashfulness. This is due to a myth which said nymphs hid their nakedness using the large petals of the peony flower. Cut around 3cm - 5cm from the bottom of the stems at a diagonal angle, and then place in a clean vase filled with fresh room temperature tap water. Add flower food to ensure a longer lifespan and make sure no leaves are dipping into the water. Make sure you avoid placing your flowers anywhere where they would be exposed to direct sunlight, heating, fruit or draughts. Ensure you keep the water topped up regularly. Peonies are renowned for their impressive size - some species can grow up to ten inches! Peony plants can live to be 100 years old. Nectar tends to form on the exterior of peony buds which is why this flower can sometimes attract ants. "Roses as big as cabbages." - Marco Polo's impression of peonies when he saw them for the first time.